Have this cute salt grinder as a partner in your kitchen. Compact and easy to refill through his foot! The following links are fellow bloggers that I know personally and are committed to the same ideals as mine: wholefood, natural and wellness. I wholeheartedly recommend their products & services. Tell them clevercook sent you when you visit! An avid spokesperson for children’s health, organic living and family wellbeing Brenda is a health coach, speaker and wellness blogger. 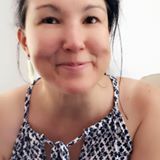 The wonderful Sonia is the Natural New Age Mum who writes about living eco-friendly and chemical free, natural beauty, health, remedies, cleaning and therapies. She reviews natural products and often has giveaways. Check out her site. Alisha is a naturopath, blogger, Essence Practitioner and stay-at-home-mum to 2 little ones. Her Australian Bush Flower Remedies are wonderful. Kristin from Mamacino Homemade is a mum of three who makes & sells her own wholesome delicious treats. Her Granola is to die for, and she posts Australia wide. Visit her online store and check out her website! 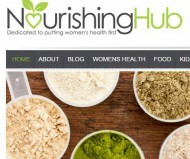 The Nourishing Hub is an online health store dedicated to the unique needs of women and their families. They nourish you with the best natural and organic health products, natural remedies and nutrient dense foods. The gorgeous Amy Taylor-Kabbaz, from happymama.com.au is about putting your health, wellbeing, spiritual growth and needs FIRST. She has produced some beautiful affirmation cards to help new mamas feel connected, demand a happier life, to feel good and be a better mama. I would like to buy a nut milk bag and a thermie decal please. Are the ones shown all you have? If so can I please get the white with red flowers one. If there are other please let me know. Yes, the ones pictured are what I have left. Please make a payment via my paypal button of $23 and I will send them to you. I have made payment, thanks. Great blog, very inspiring. How do I go about purchasing a nut milk bag? If you make a $15 payment to my paypal account – link on side bar I will get one to you asap. Please make sure your paypal account has the correct address details as thats where I will post it to. When you do the transfer, pls let me know, Cheers!